A perfect solution against musty smell and moisture, which is mainly used in residential construction or mountain huts and holiday homes. 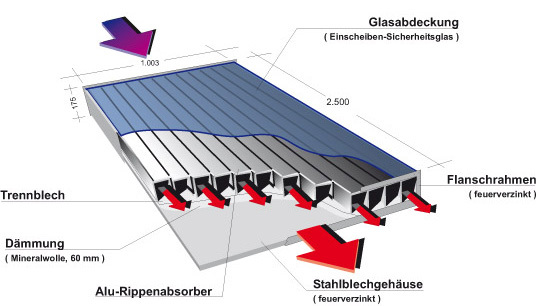 The Air collector concept was developed now 40 years ago mainly for drying processes. 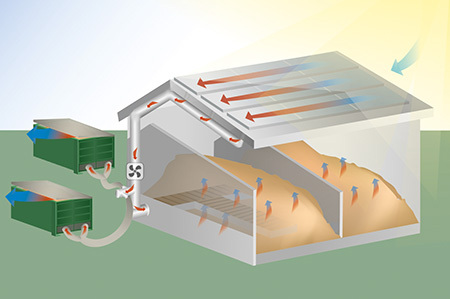 Fresh outside air is filtered and sucked by the heat-insulated air collector made of aluminium. The fresh air is heated up and piped into the house via an insulated pipe. 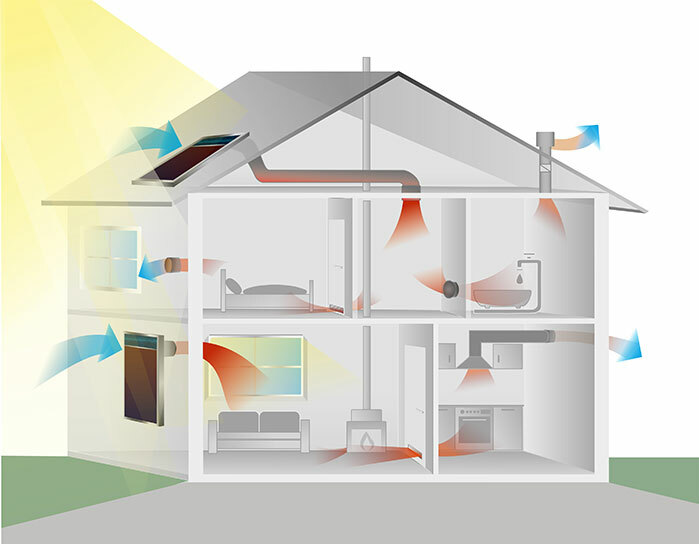 When the desired room temperature is reached, the system automatically switches off with the help of a thermostat. No more musty air in the rooms, no mold or damp walls in the house. can also be used in bungalows, vacant houses for the preservation of the building substance or only sporadically used rooms. Also ideal for church houses, club houses, fire brigades, etc. are particularly suitable where ventilation and heat requirements exist. The dry is heated and dried directly without a heat exchanger. The solar offer is fully utilised all year round. The use of solar energy in the field of drying technology is becoming more and more interesting due to the constantly increasing energy costs. 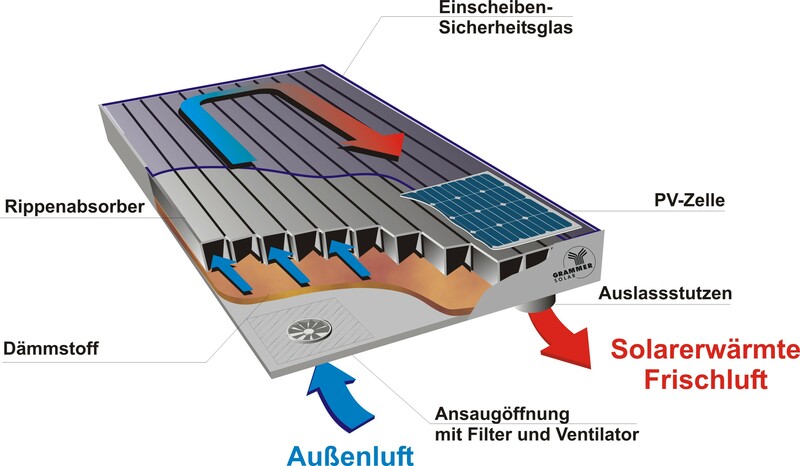 Especially in the low temperature range (below 100 °c), solar energy with Grammer Solar Air collector technology can be effectively converted into usable heat energy.